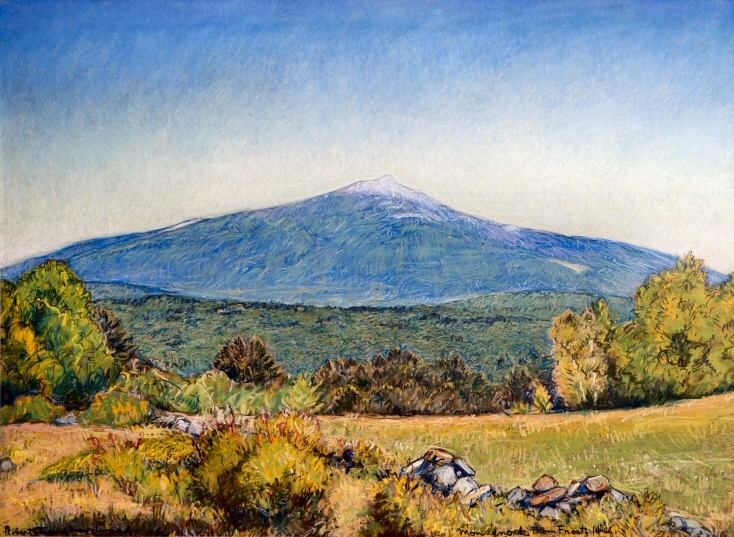 RSW- Artwork page, "Monadnock from Frost's Hill"
This piece was recently found and currently for sale. 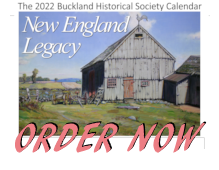 Interested parties please Contact Us. 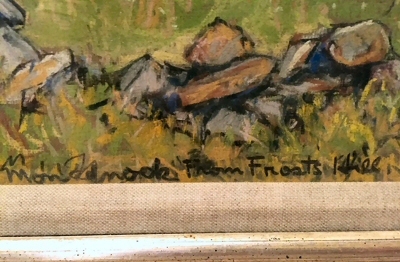 A close up of chalk drawing title. We wish to express our appreciation to the current owner for contacting us regarding this previously unknown chalk drawing. 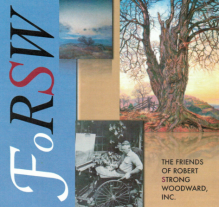 RSW did not keep a record of the chalk drawings he did and thus we have no idea how many drawings there are... so welcome home Monadnock from Frost Hill glad to have you! This piece is now for sale by its current owners. Interested parties please Contact Us.